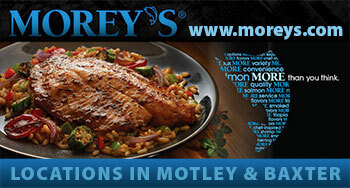 Morey’s Seafood International’s plant is located in Motley, Minnesota, which is deep in the heart of central Minnesota’s lake country. We maintain a state-of-the-art processing facility where quality is our main goal. The same is true of our distribution facilities in Minnesota and Missouri. We work closely with suppliers all over the world in an effort to find the highest quality fish and seafood products to process and value-add for our customers. With help from FDA, BRC and HACCP guidelines and procedures, and constant safety monitoring and training, you can be assured that our products are safely made and are completely worry free. We provide a wide variety of products from several species of value-added fish and seafood to our well known smoked products.